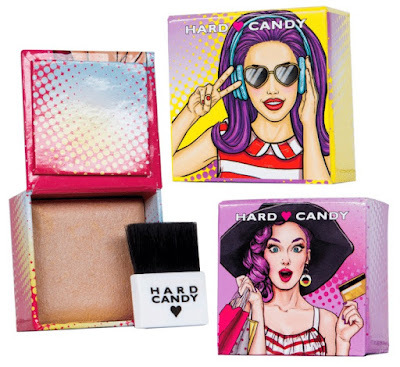 Hard Candy Fox In A Box - $7.98 - in 5 custom blended shades with signature fragrances: Girl Boss - vanilla frosting, Glamour Girl - pina colada, Party Girl - chocolate, Girl Next Door - strawberry, Uptown Girl - sweet peach - with a smooth, marbleized baked formula that delivers multi-dimensional yet sheer, buildable colour for a healthy and natural glow thanks to finely milled mica pigments that blend seamlessly into the skin. The packaging is adorable and I love that they each have a distinctive scent - it comes with a brush which works in a pinch but if you have a choice, use your big fluffy powder brush for easier and more even application! Available exclusively at Walmart stores across Canada. Givenchy Gloss Interdit Vinyl - with swatches! Give your skin a lift with Lierac Lift Integral! Essie 2018 Resort Collection - with swatches!